There seemed to be music everywhere on campus this past weekend. Concerts and Cabaret on High Street, a capella in the library and the CFA, live bands in the Fountain backyards, and the mighty Wesleyan Orchestra in Crowell. And there is poetry and other forms of creative writing echoing through the halls. I know I’m just scratching the surface. We raise our voices in song, or just move to the beat, as we also struggle to write those last papers, prepare presentations, study for exams. So much gets bunched up at the end of the semester. It takes a long time to prepare a recital, whether in dance or in instrumental music, and so it’s no wonder that we have so many here in the last week of term. Lectures and conferences abound, even as we are struggling to focus on getting those last assignments completed. Today many heard from students and staff who were reflecting on what it’s like to be a person of color on this campus. Our colleagues and fellow students took the time to share their experiences, their pain and their hopes, even as they also have to get all the work of the end of term completed in a timely way. I am grateful for their efforts. These days when the spring semester ends it is only a short break before Summer Term begins. Popular fields during the school year are offered in small classes in the summer — like psychology and computer science. And there are also new classes that are not found during the school year — like “Legal Thinking.” So, if you are already worried about aching to be in class, check out the Summer session webpage. Thoughts of summer are hard to keep at bay as the temperature rises and music drifts over Foss Hill. But I have one more lecture to give and an exam to prepare….and students have miles to go before they can sleep. At least we are moving together accompanied by poetry, song, and the back beat of musical Wesleyan. As we approach the Thanksgiving break, students are busy choosing their classes for the spring semester. Wesleyan offers almost 1,000 classes and dozens of programs, and so this can be a daunting process. I always have many first-year students in my classes (in the spring I’ll be teaching The Modern and the Postmodern again), and I know many of them are exploring a variety of fields even as they get closer to a field of concentration. Students considering a lighter course load in future term, or who are thinking of graduating in three years — or who simply wish to put their winter break to good use — may want to make a Winter Session course part of their academic plan. Housing and meal plans are available. Students complete reading and writing assignments before arriving on campus. Classes meet 5 hours per day for 8 days in January. A quieter campus, and a singular focus on just one course, allows students to connect more closely with faculty and classmates. These intensive courses provide opportunities for new insights as students engage with topics in a truly different format. To review past courses, click here. 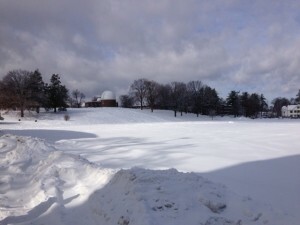 For information about other Winter at Wesleyan programs, please visit wesleyan.edu/winter. 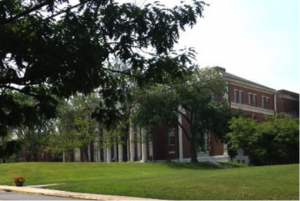 Wesleyan University offers an intensive Summer Session in which students can complete semester-long courses in only five weeks; courses are offered in June. Wesleyan Summer Session is open to students who feel they have the academic qualifications and stamina to complete an intellectually challenging course in a compressed schedule. Residential options are available for both Wesleyan and non-Wesleyan undergraduates. Local precollege (high school juniors, seniors, and PG students) are invited to attend courses as commuting students. You can find more information on recent summer classes here. Students take classes outside the semester framework for a variety of reasons, and some find that it allows them to graduate in three years (saving a considerable amount of money). More on the three year program here. Good luck planning the best pathway for YOU for YOUR diploma! Looking out my window at snowy Andrus field, or walking Mathilde gingerly on the sidewalks around campus, it sometimes seems like we are in for an endless winter. The dominant subject for discussion on the faculty listserve is snow removal, and finding a couple of tons of salt this week was a cause for celebration in North College. Winter in New England. Nobody said it was going to be easy. 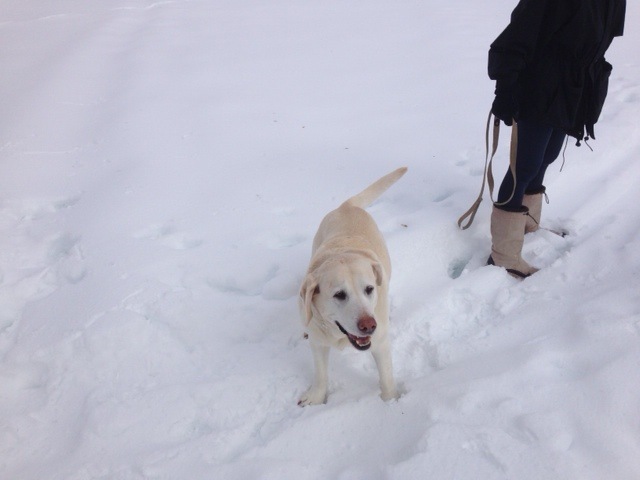 But yesterday was at times glorious, with the sunshine beginning to melt the ice and warm the heart. I didn’t need gloves or a hat when I went for my lunch at Usdan, and everyone seemed just a little cheerier. I know it’s just a tease, but still it’s fun to begin thinking of spring and SUMMER! Wesleyan University offers an intensive Summer Session in which students can complete semester-long courses in only five weeks; courses are offered in both June and July. Wesleyan Summer Session is open to students who feel they have the academic qualifications and stamina to complete an intellectually challenging course in a compressed schedule. Residential options are available for both Wesleyan undergraduates and non-Wesleyan students. And I remind you that the classes, in poetry or biology, archaeology or government, CAN BE HELD OUTSIDE! It’s a lovely way to study and earn credit. A course listing can be found here. People take summer classes for all sorts of reasons, but one of them may be a decision to graduate early. Wesleyan offers students the opportunity to graduate ahead of the traditional four-year schedule, which can save families quite a lot of money (and allow students to go on to other things). You can learn more about the three-year program here. Last day of Finals: Good Luck and Have a Great Summer! Kari and I were walking Mathilde last night when we bumped into several students studying for their last exams or finishing up their final papers. It was a beautiful day, just the hardest time to keep you nose in a book or your hands on the computer keyboard. The Wes students we saw were doing just that, but also looking forward to a break. Some will start summer session after Commencement to take a class they really need for their majors or to grab an elective they hadn’t had time for during the regular semesters. There is still room in some summer session courses, and you can access them here and on Wesmaps. Professors don’t tend to sit out on Foss Hill reading, and this time of year most are super busy reading papers and grading exams. Many on our faculty double down on their research efforts during the summer, going more deeply into their fields of specialization or expanding their intellectual horizons by turning to new subjects. These sorts of research endeavors invariably find their ways back into the classroom, connecting teaching and scholarship in a very virtuous circle. I’ve got papers to grade myself! If YOU have the time, check out these videos of Wesleyan faculty members. Happy almost-summer! It’s Cold! Think of Summer (Fast)!!! The calendar says it’s spring, but it’s been cold and windy in Middletown. Best to turn thoughts to summer and the great offerings in the Wesleyan Summer session. Online registration for summer session classes closes at the end of the day on Tuesday, March 26th. You can sign up for courses in animal behavior or applied data analysis, computer programming or the graphic novel. It’s a great time to catch up on a course you’ve always wanted to take, or to finish a requirement for your major. Whether it’s drawing or economics, summer is a great time to study at Wesleyan. Wandering around campus on this first official day of summer, I see signs of the increased use of our facilities that we have been encouraging these last few years. The Summer Session, now in its third year, has continued to grow, and the students I’ve spoken with are enjoying the small classes and the intense focus. The double-course on filmmaking and film studies seems to be going really well, and I suspect we will be adding resources in this area in the future. 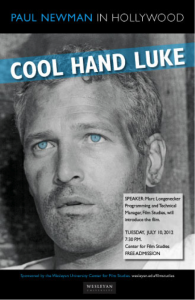 Speaking of film, our summer series of free films linked to our archive will begin in a couple of weeks. This year the focus is on some of Paul Newman’s greatest roles, and the line-up (with introductions by Mark Longenecker) is impressive. 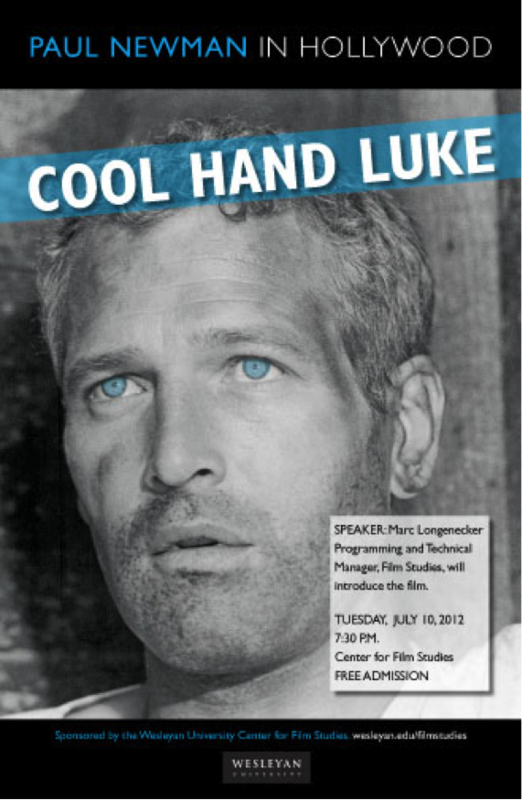 The series begins on Tuesday, July 10 at 7:30 with Cool Hand Luke, and it continues each Tuesday through July. Heading over to the Exley science center, I am likely to bump into some of the scores of students working in labs. For many years our undergraduates have been able to participate in high-level research and get financial support in the summers for doing so. 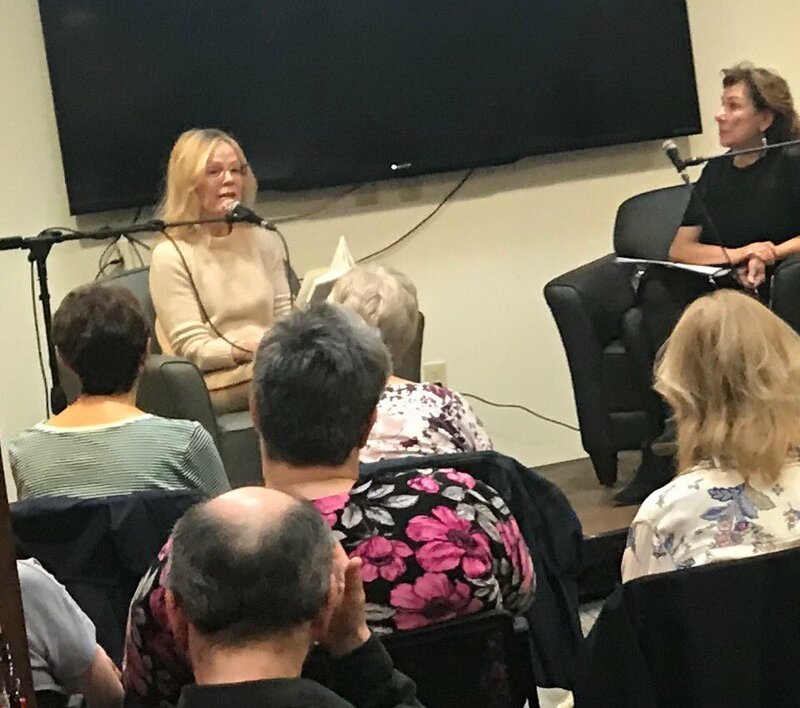 Much of this support has come from the Hughes Foundation, and we recently learned that we will have to raise our own funds to continue this work in the future. I am working closely with our science faculty and trustees to raise the funds to support mentored summer research. Research support for students is a crucial complement to our financial aid program (about which I am posting more information on the Wesleyan 2020 site). On the left above is Claire Palmer ’14, and Lisle Winston ’14 and grad student Upasna Sharma are on the right. They were busy working in Scott Holmes’ molecular biology lab when I interrupted them. I also spoke with some students doing exciting work on protein expression and on bacteria from Death Valley and from Slovenia (I didn’t know bacteria had “zip codes”). I stop in to Olin Library from time to time to pick up books that might prove useful for my own research regarding the development of liberal education in the United States. Olin in summer is an oasis of serenity, as it is (relatively speaking) throughout the school year. Wandering around the stacks, I always find more books than I came looking for. Now all I need to do is find the time to read them! When I leave campus for a break, I will continue my book project on the intellectual history of liberal education in America. The tension between learning for its own sake and learning for practical goals runs like a red thread through the history of American higher education. Rather than try to dissolve that tension, I believe we should cultivate it to generate deeper scholarship and more productive enterprises. The mistake is to think we must choose between liberal learning and an expansive pragmatism. Summertime is here with intensity today, but the livin’ ain’t easy. The work continues in classrooms, labs, offices and studios. Just before Reunion-Commencement weekend, I discussed changing some of our assumptions for budget planning with the Board of Trustees. This followed several months of discussions with faculty, students and staff on campus. After the February board meeting, I met in an open session with the Wesleyan Student Assembly, as did the treasurer and chair of the faculty in subsequent weeks. I also led a discussion of budget priorities in an affordability meeting with students, and reported on our economic planning to faculty at various meetings. Throughout the year, Joshua Boger and I have been discussing these ideas with alumni groups. At the Board meeting we discussed planning the 2013-2014 budget with some new assumptions, which are described below. Our goals are to make Wesleyan more sustainable and affordable while maintaining our commitment to providing the very best liberal arts education. In the fall, I will continue discussions with the various members of the Wesleyan family. Together, we will chart a path that creates the conditions that will enable the university to thrive long into the future. Over the last few years there has been a marked increase in attention given to college affordability. As the cost of higher education (both public and private) has continued to climb, and as the prospects for economic growth continue to dim, many have wondered about the value of an undergraduate degree. Despite this disquiet about college generally, during this same period the number of students trying to gain admission to Wesleyan has increased dramatically. Thus far this year we’ve accepted fewer than 20% of the students who applied. Our total student charges will increase by 4.5% next year, reaching $58,000, which provides about 74% of the revenue it takes to run Wesleyan. Our financial aid budget is projected to increase by 15%, which means we will be allocating about $50 million to scholarships in 2012-2013. For years, we have followed this same pattern: tuition increases well above inflation, and financial aid increases that go far beyond that. Although this works well enough for families from the highest and lowest income brackets – the former don’t worry about a budget and the latter don’t have to pay – we’re squeezing out middle and upper-middle class families. Furthermore, this budget model isn’t sustainable. Over the past 20 years, the percentage of the tuition charges that goes to financial aid has risen steadily. In the past, Wesleyan has dealt with this issue by raising loan requirements (replacing grants with loans), and by taking more money out of the endowment (or just spending gifts rather than directing them to the endowment). One way to change this dynamic is to cut costs, and we have substantially reduced expenses without undermining the academic core of the institution. In my first year as president in 2007-2008, we canceled almost $200 million in planned capital expenditures. We also made difficult decisions that resulted in $30 million in annual budget savings and increased revenues. We have improved energy efficiency and re-negotiated our health insurance coverage. We have also reduced our exposure to increases in our debt service costs while developing a program to begin repaying some of the debt the university incurred in the 1990s. But I have also introduced measures that increase pressure on the operating budget. In 2008, we reduced loans for most students by about a third, which I still believe was the right thing to do given our claim to “meet full need.” And we also began placing a much higher percentage of the money we raised each year into the endowment. Our endowment per student is well below most of our peer schools, and it seemed vital to build Wesleyan’s economic foundation. While we do this, it is also essential to have funds to run a great university right now. This year I have proposed a plan to trustees and the campus with three new components to make Wesleyan more affordable in ways that can be sustained. The first is to establish a “discount rate” that is as generous as possible, but that is also one we can afford. The discount rate refers to the amount of tuition the university does NOT collect, and it is the key measure for financial aid. For Wesleyan this means just under a third of our tuition charges will go to financial aid. This is approximately the percentage of the budget devoted to aid from 2000-2008. We remain committed to meeting the full financial need of the students we enroll, and to do so without increasing required student indebtedness. This may mean that we will have to consider the capacity of some students to pay, as we do now with transfer and international students. We will read all applications without regard for the ability to pay, and we will be need-blind for as many students as possible. Currently we project this to be about 90% of each class (depending on the level of need). We could retain the label “need blind” by raising loan levels or shrinking grant packages – but this is the wrong thing to do. We feel it is crucial for the education of all our students to meet the full need of those who are enrolled without increasing their debt. As we raise more funds for the endowment, we will be able to build a more generous and sustainable financial aid program. The second component of our affordability effort will be linking our tuition increases to the rate of inflation. We have already moved into the realm of the country’s most expensive colleges, and this is not a list on which we want to remain. Restraining tuition increases will require us to maintain our search for efficiencies while also investing in educational innovation across the curriculum. I am convinced that these measures will enable us to preserve access to Wesleyan for capable, creative students while preserving the essential qualities (great faculty, diverse community, excellent facilities) that these students want. We are justly proud that so many who are so talented want to be part of the Wesleyan educational experience. With thoughtful planning, which will involve continued discussions with students, faculty and alumni, we can ensure that this remains the case for generations to come.